Issue: I opened PSD file in Adobe Photoshop and I don’t see any slices. As a result you’ll see the file extensions after the file names. Make sure the extension in .PSD. 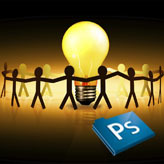 Template PSD files are located in the template "sources/psd" folder. 2. When you opened .PSD file with Adobe Photoshop click View navigation menu item and select Shows > Slices. 2. If you have several .PSD files in the template "sources/psd" folder please search for the main layout slices in the first PSD file. It can be named 01_home.psd or main.psd etc. The design of all pages is the same so slices can be found only in the first file. This entry was posted in Working with Photoshop and tagged Photoshop, PSD, slice. Bookmark the permalink. Do I need to slice the template PSD files myself?